On 26 October 2016 a new visa-free area along the Augustow Canal, a conservation protection zone in the Hrodna region on the border with Poland and Lithuania became effective. 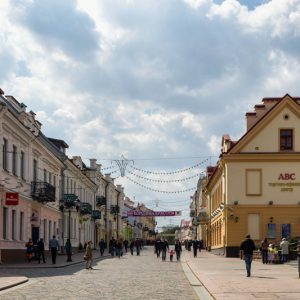 Tourists will also be able to visit adjacent districts of Hrodna region as well as the city of Hrodna (population 300,000) visa-free, an unprecedented measure in the history of sovereign Belarus. The visa-free regime will last until 31 December 2017. This will make it the second visa-free zone in Belarus after the national park Bielaviežskaja Pušča opened up in 2015; foreign citizens can stay in the forest for up to three days. Is Belarus finally opening up to the world? 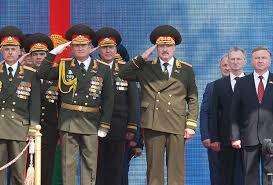 On 23 August Aliksandr Lukashenka signed decree No. 318: "Concerning the introduction of visa-free entry and departure for foreigners” which came into effect on 26 October 2016. The document allows visa-free stay in the Augustow Canal nature park and adjacent territories for a period of up to five days. The authorities launched a special web site explaining the visa-free entry procedure. Foreigners will be required to obtain permission to stay on the territory of the Augustow Canal park. Permission can be requested from Belarusian tour operators and travel agencies. Tourists will need to submit a form to border authorities via e-mail or post at least 24 hours before their arrival. Visitors to the park will be able to enter Belarus via four border checkpoints – two on the border with Poland and two with Lithuania.Visa-free stay can last up to 5 days, after which foreigners must leave the territory of Belarus. Importantly, tourists will also be able to stay in adjacent districts of the Hrodna region and the city of Hrodna (population 300,000) visa-free, an unprecedented measure in the history of sovereign Belarus. Minsk and other major cities are outside the visa-free zone, so a trip there would be considered a violation of visa-free entry rules. According to Deputy Minister of Sports and Tourism Michail Partnoj, this is a preliminary measure before Belarus opens up to the world even more. The first such initiative appeared during the 2014 World Hockey Championship which took place in Minsk. Authorities announced that foreigners with a ticket for the championship could enter Belarus without a visa. In summer 2015 the government introduced a visa-free regime for tourists entering the national reserve Bielavieža forest on the border with Poland. Visitors need only posses a valid ID and a ticket for the national reserve. The fact that Poles and Lithuanians will have easier access to Hrodna may indicate that Minsk wants to test the impact of local border traffic. Its authorisation was long delayed because of Poland and Lithuania’s critical position towards the political regime in Belarus. Furthermore, the government fears that Belarusians will drain foreign currency reserves while shopping in borderland areas of the EU. However, as relations with the EU improve, Minsk may reconsider the local border traffic issue. Despite being an immediate EU neighbour, Belarus remains the most closed country in Europe when it comes to visas. Except for former Soviet republics with mutual free travel policies, the citizens of only a dozen countries in Latin America and Asia can enter Belarus visa-free, and even then only for 30 or 90 days per year. Russia has a very similar visa regime, but it offers visa-free entrance to a slightly higher number of countries. The Ministry of Sports and Tourism remains the main advocate of simplification of entrance to Belarus. This is no wonder, since the success of the tourist industry directly depends on the number of tourists entering the country, and visa barriers remain a major obstacle to visiting Belarus. To give an example, official statistics report that in 2015 Belarus hosted 300,000 organised tourists (the actual figures seem to be smaller), while Lithuania's capital Vilnius, not the most popular destination in Europe by any stretch of the imagination, hosted around one million visitors. What's more, out of these 300,000 tourists the majority came from Russia, which has an open border with Belarus. The Ministry of Foreign Affairs has long been reluctant to advocate visa-free travel, as consular fees bring a good deal of income to the ministry. Currently, a person who wants to obtain a Belarusian visa has to pay €60-150 depending on the type of visa. In recent years, however, the ministry has changed its position and supports easing the visa regime. Belarus security agencies remain the main opponents of a mass inflow of tourists, as they would need to considerably change the way they work. The Border Committee claims the border infrastructure is not capable of handling a larger numbers of visitors, while police will have to cope with much more work registering foreigners and maintaining order in the streets and on roads. People both inside and outside Belarus have criticised the government for dragging its feet about the visa issue. Many contrast Belarus with Ukraine, which made entrance for all Schengen zone citizens visa-free some 10 years ago. However, Belarusian authorities are notorious for extreme caution and incrementalism – they never make radical moves when it comes to politically sensitive issues. Therefore, the country opening up all at once seems like a highly unlikely scenario. Moreover, Belarusian authorities are also known for reversing policies if the political environment changes, which happened with local border traffic in 2010. Nevertheless, these new initiatives indicate an understanding within the government that tourism can become a profit-making industry in times of crisis when traditional industries such as machine building are experiencing stagnation. Easing the visa-regime will benefit tourism-related businesses, improve Belarus' image in the world, facilitate person-to-person contacts and encourage the integration of Belarus into the European context. Potential travellers and business owners can only hope that the new visa experiments will lead to a comprehensive simplification of the visa regime shortly after.